Faitron’s vision is to improve everyone’s health and well-being through the development of disruptive food appliances supporting a happy and healthy lifestyle! Faitron Ltd. ist ein Schweizer Unternehmen, das sich auf innovative und mobile Lösungen zur Erwärmung von Lebensmitteln spezialisiert hat. Wir ermöglichen es den Nutzern, ressourcenschonend, gesündere Lebensmittel so mobil wie möglich zu geniessen. Unsere hochwertigen Produkte kombinieren unsere Kerntechnologie der effizienten und überlegenen mehrseitigen Erhitzung, welche präzise gesteuert werden und eingebettet sind in ein leicht zu reinigendes und dichtes Design. Unsere App-gesteuerten Produkte ermöglichen es dem Benutzer, die Erhitzungsparameter für die beste und gesündeste Erwärmung anzupassen, bis hin zur Steuerung und Analyse der persönlichen Lebensmittel. The HeatsBox got smart and comes with convenient App-controlled features such as a timer, different heat modi and the possibility to precisely select the temperature. Pre-orders can be placed now at Faitron’s online store. BabyBoo comes one step closer to market introduction as Faitron tested successfully prototypes of its second product, BabyBoo. The BabyBoo App allows users to precisely control the temperature for baby milk or baby jars. After countless prototypes and improvements, we finished successfully the first tooling set and produced the first batch which will be tested by hundreds of external users. The patent application for the second product was fundamental, as BabyBoo is the first electric warming baby bottle. 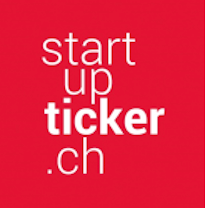 Faitron has won the prestigious Swiss Kickstart Accelerator, the largest accelerator program for startups in Europe. The two largest retailers in Switzerland, Migros and Coop (both over $24bn sales), were convinced by the concept of HeatsBox and agreed on starting individual proof of concepts. Faitron Ltd. was incorporated in July 2016 in St. Gallen, Switzerland. due to great support of Startfeld and the university of St. Gallen. The key innovation inside HeatsBox is the efficient multi-sided heating technology that was applied for patent in May 2014 in Switzerland. The idea of HeatsBox started already at high school because busy schedules and tight budgets made it difficult to eat a hot and healthy meal on-the-go. Interested in becoming a Faitronian? Send us your application including your CV and motivational letter to join us on our journey.